There are plenty of round-faced smartwatches already on the market: Motorola Moto 360, Huawei Watch, the LG G Watch R and so on. But what makes them different from square-faced watches? Nothing, the round-face is all for show. Sure, they look nicer, but because Android Wear is the same OS across all devices, the UI and features can't take advantage of the form factor. In fact, you could argue that round-faced smartwatches are inherently worse than their square-faced cousins as the circular screen results in reduced usable screen real estate. The Gear S2 is different. Running on Samsung's own Tizen OS lets it stand out from all the Android Wear-based smartwatches out there. Unlike other round-faced smartwatches, the Gear S2 actually takes advantage of its shape, from its circular rotating bezel all the way down to how you navigate through the interface. 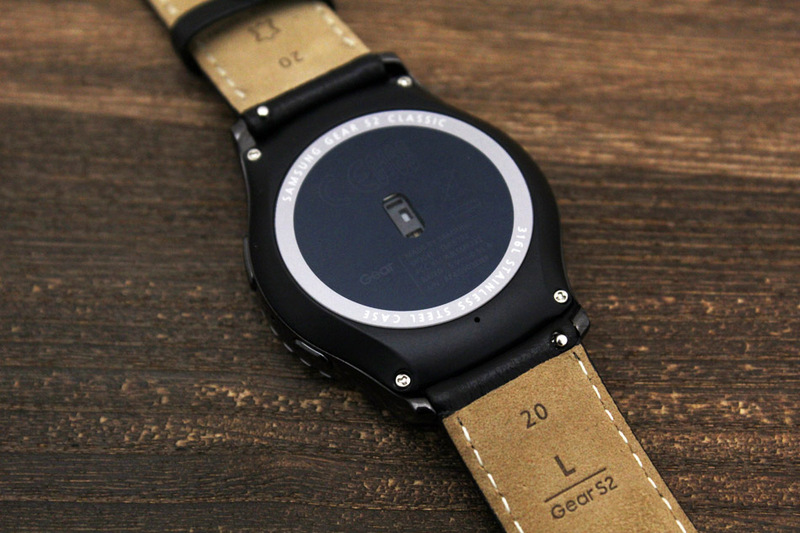 This is how you make a round-faced smartwatch. The Gear S2 is the first round smartwatch from Samsung and it’s far more attractive than Samsung’s earlier, chunky rectangular models. 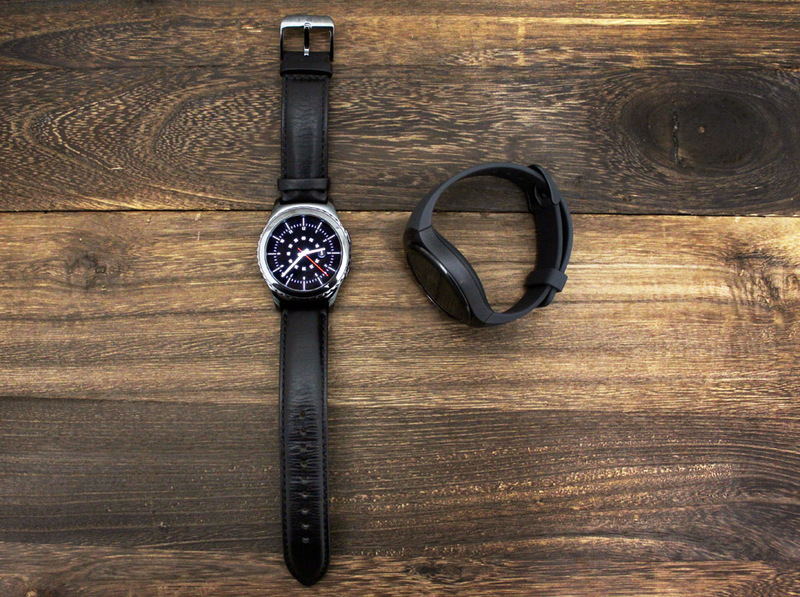 There are two models available, the standard model, which has a sleek modern finish and looks a bit like a Swatch watch, and the Gear S2 Classic, which costs more and has more traditional styling, with a leather strap, a darker, glossy finish and a knurled bezel, similar to the type you would find on a diving watch. The S2 Classic has a slightly smaller 40mm bezel, compared to the Standard version's 42mm, but the size difference isn't very obvious. Both watches look about the same size as Apple's 42mm Apple Watch. Both versions look fantastic and it's hard to recommend one over the other. I've asked around and some people prefer the old school styling of the Classic, while others prefer the futuristic look of the standard model. Personally, I like the Classic. Fit and finish on both models are top notch, with a matte, stainless steel case on the Standard, and a glossy stainless steel on the Classic which in my opinion, looks nicer, but is a bit of a fingerprint magnet. One big difference between the two models is that the Standard version uses Samsung's proprietary straps, while the Classic will take any 20mm watch strap. The star attraction of the Gear S2's design is its rotating bezel. The ceramic bezel rotates left or right with a light tactile click, and acts as your main interaction point with the watch, letting you easily navigate from app to app, or to scroll up and down when you're inside an app itself. On the Classic, the ridged edges let you grab onto the side of the bezel and rotate it like you would a diving watch, whereas on the regular model, you use your finger to apply pressure to the top, sort of like an iPod scroll wheel. On both versions, once you've scrolled to the app you want, you just tap the screen to open the app. Navigating with the bezel is incredibly intuitive and it just feels so right for a watch, I'm honestly amazed that no-one has thought of it before. Compared to smartwatches with touchscreen-only input, or even the Apple Watch's small rotating crown, the Gear S2 feels a lot less fiddly to use, and I found the smooth yet clicky bezel oddly satisfying to rotate. Both models use the same 1.2-inch circular Super AMOLED display with a 360 x 360 pixels resolution, resulting in a pretty sharp 302 ppi. Like Samsung's AMOLED smartphones, colors on the screen look bright and vivid, and it's easy to read both indoors and out, with excellent viewing angles, great contrast and deep blacks. And unlike Motorola’s Moto 360, there's no blank spot here, the Gear S2 screen fills the entire face of the watch. 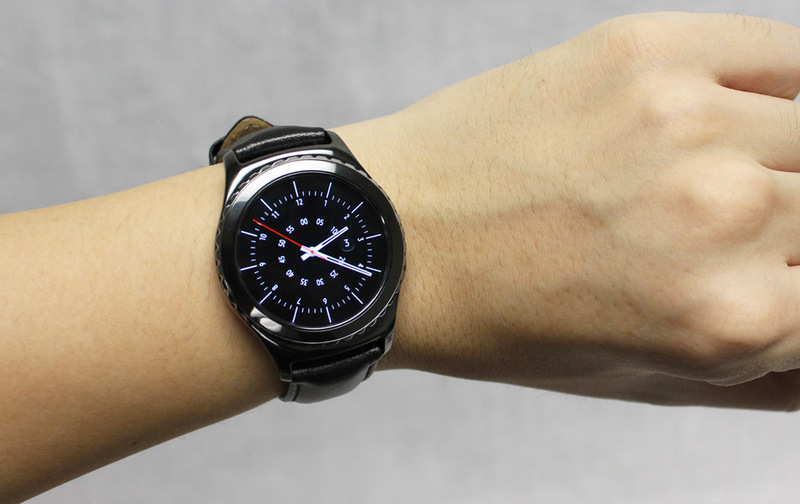 Samsung hasn't packed the Gear S2 with as many features as its previous smartwatches. There isn't a camera and you can't make phone calls via speakerphone anymore. The features you do get are more like an Android Wear watch: message notifications, information apps, fitness tracking, playing music via the internal 4GB storage through a paired Bluetooth wireless headset, and respond to messages or trigger voice-activated actions using a built-in microphone. The watch vibrates but there's no speaker. While the Gear S2 has less features than its predecessor, Samsung has done a really good job of streamlining the UI and making it intuitive and easy to use. Turn the bezel to the right from the main watchface and you can scroll through information widgets like your physical activity for the day or the weather, and turn it to the left to see your notifications. Notifications can be filtered and are interactive, just like on Android Wear. You can respond to incoming messages with preset responses, voice dictation, or tap out a response on a miniature keyboard. Unfortunately, you're generally better off pulling out your smartphone here, as the onscreen keyboard is minuscule and the voice dictation is nowhere near as accurate as Google Now or Apple's Siri. Two buttons on the side of the watch also aid navigation, the top one is a back button, while the bottom one acts as a home button and brings you back to the watchface. If you're already at the watchface, press the home button to bring up the apps wheel. Speaking of apps, here's the biggest drawback to the Gear S2: there aren't many of them. Much like previous Samsung Gear watches, the S2 runs on Samsung's own Tizen OS. This means it's only compatible with a limited library of Gear apps, and there's no where near as much choice as what you'll find on the Apple Watch or Android Wear. 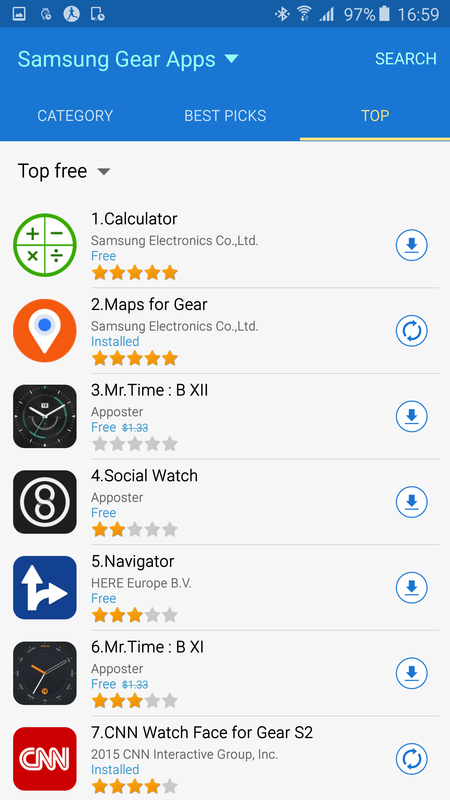 Most of the apps are made by Samsung, there's a stopwatch, alarm clock, timer, email messages, voice memo etc., and there are some third-party apps too (there's even a Flappy Bird clone) but Tizen is still missing the big-name apps. 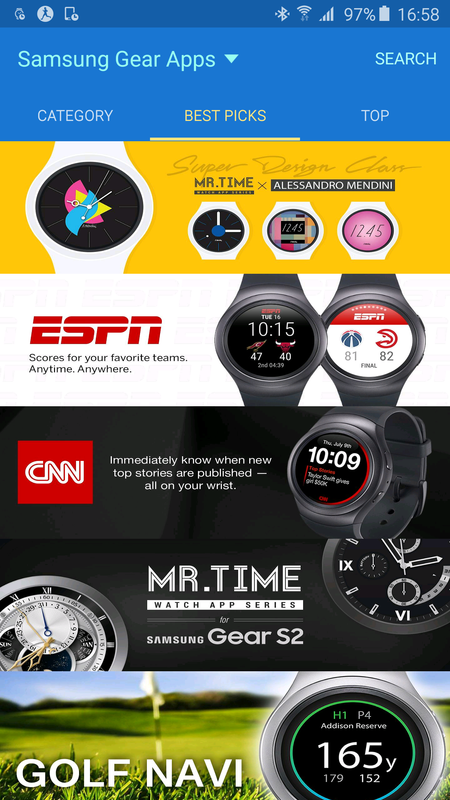 Nike has its own watch face, and there's an ESPN app for sports scores, but you won't find Facebook, Twitter or Uber here. And unlike Android Wear, Samsung is the only brand using Tizen OS, which means it will be harder to entice developers to get their apps on the niche platform. Samsung doesn't have the relationship Apple does with its iOS developers, so it's hard to predict if it will ever develop the app ecosystem it needs for the Gear S2 (as well as Samsung's future smartwatches) to really succeed. One great move Samsung has made towards getting more developers on board with Tizen is making the S2 compatible with any phone running Android 4.4 KitKat or newer with at least 1.5GB RAM. That covers most mid and high-end devices released in the past year or two. Earlier Samsung Gear watches were limited to just Galaxy phones, so it’s encouraging to see Samsung open the S2 up to a wider audience. Hopefully Samsung will figure out a way to make the S2 work with the iPhone in the future too, especially now that Android Wear is compatible with iOS. 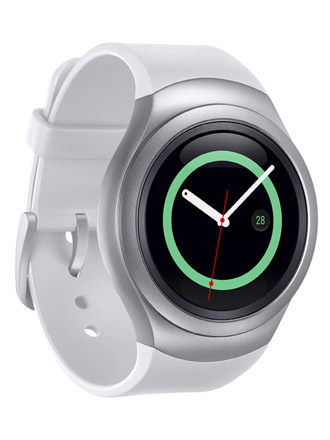 The standard Gear S2 has a 300mAh capacity battery. The S2 Classic actually has a smaller 250mAh battery, but surprisingly, we didn't notice any significant difference between the two watches in terms of battery life. On both watches, battery life was better than expected, and you can easily go two days of light use without a recharge. If you're checking your watch every couple of minutes and playing music from it all the time, expect to re-charge it every night though. The Gear S2 also has a power saving mode which will drop you to a grayscale watch face, turn off Wi-Fi, throttle processor performance and only let calls, notifications and messages through. If you need your watch to last for several days rather than the usual one and a half to two, this is great, but it kind of kills the point of having a smartwatch. That said, it's no different from the 'ultra' power saving modes on most modern smartphones that scale back functionality to a great degree. As far as charging is concerned, both versions of the Gear S2 come with a little wireless charging cradle, similar to the one you get with the Moto 360. The watch face will rotate sideways when it's in its cradle and charging (so you can use it as a nightstand clock). It takes about two and a half hours to charge from 0 to 100 percent. The Gear S2 is well-designed, stylish, innovative, elegant and easy to use. It has the best display I've seen on a smartwatch and it has, by far, the most natural and intuitive way of interacting with your smartwatch so far. 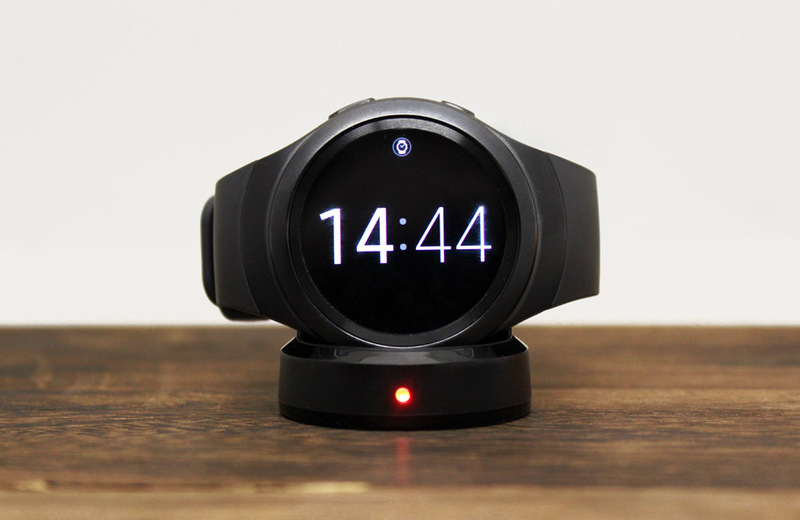 It's the best round-faced smartwatch I've used; but it's not the best smartwatch I've used. The apps just aren't there right now, and without that ecosystem backing it up, it's missing a huge part of the smartwatch experience. There are also some nagging issues with voice control to be wary of. Even so, this is a huge step forward for Samsung's smartwatch division and continues a great year for the Korean company - which started with the Galaxy S6 and continued with the Note 5 - where it's proven that it can make both tasteful and well-designed devices. Price-wise, the Gear S2 is a bit pricier than some other smartwatches, but once you take stock of what it offers, the build and Apple's price point for its own offering, it's actually quite reasonable. To recap, the sporty Gear S2 in the gray case with gray band or silver case with white band retails for US$299 (approx. RM1,273), while the more premium Gear S2 Classic with the black case, knurled bezel and black leather band retails for US$349 (approx. RM1,486). They are both essentially the same product, so you'll have to decide if the styling of the Classic is worth paying a bit more for. 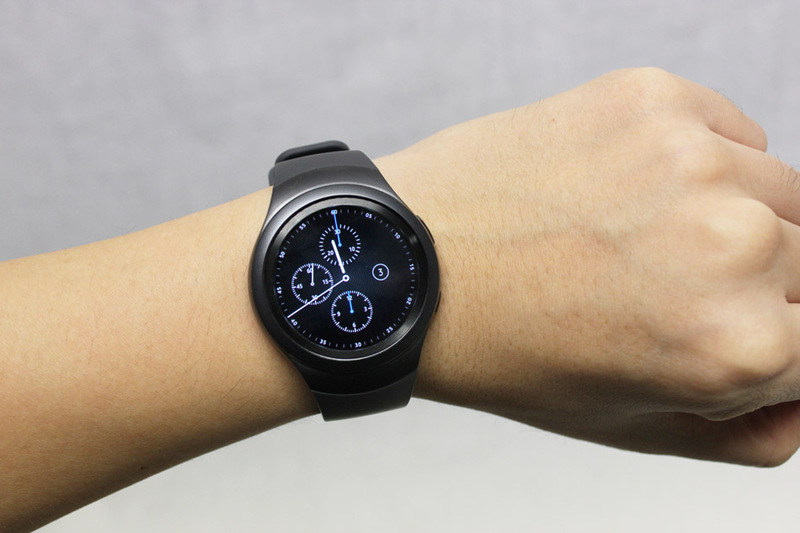 All things considered, if you can live with the limited apps available, and you're fine with just using your smartwatch for basic functions like notifications, fitness tracking and playing music, the Gear S2 is an excellent choice. For everyone else, I would recommend waiting a bit longer to see if Samsung can convince more developers to get their apps on its platform. 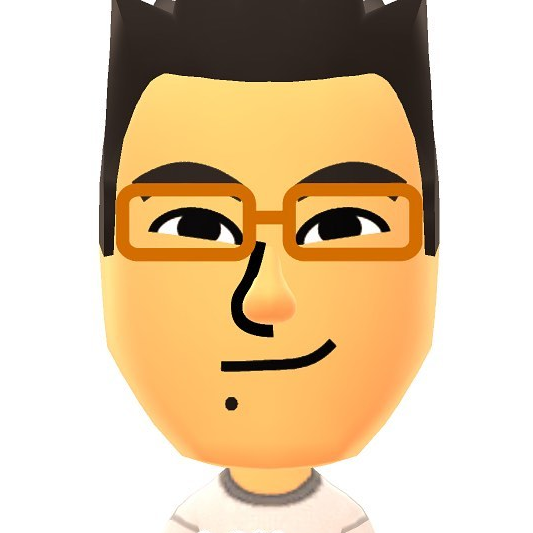 Meanwhile, if you're thinking of trying the Samsung Gear S2, you can try it virtually over here.